The folks over at Western Conservatory have a huge New Year's Day Sale you do not want to miss. Throughout this day you can receive up to $100's worth of MP3's for free. These audio resources will be a blessing to your family. We would encourage you to take advantage of this sale. You can also receive other discounts during this New Year's Day Sale. 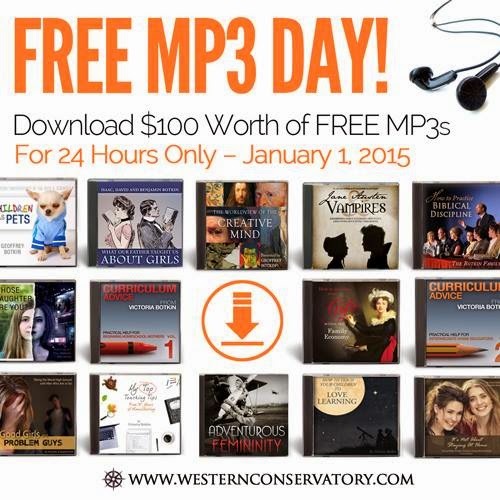 The MP3 sale is today only so don't delay. While we might not always agree with every single instructional detail, the resources at Western Conservatory will help you think through the pressing issues of our day Biblically.